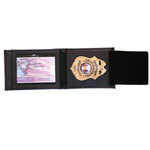 Perfect Fit offers a variety of badge and ID wallets, a great way to make sure that you have your badge or any necessary identification with you at all times. 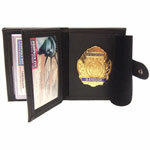 Choose from bifold, trifold, hidden or recessed badge wallets, with a number of credit card slots to hold all of your professional or personal items. 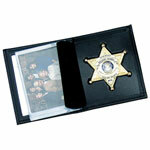 Badge and ID wallets are made from only the finest quality genuine leather and are available in a number of different sizes and shapes to meet your exact needs.